Fun and adventurous, make these pink rose set yours to keep! Featuring a super feminine double-trouble floral drop effect, these flower studs will be your new season statement wear and go! Detailed and dimensional, these gorgeous earrings are great to take with you to a picnic date or party event. 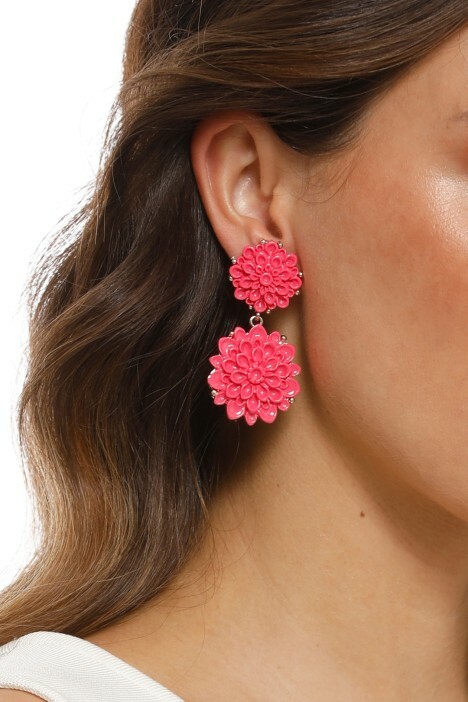 Pair these bright drop earrings with a little black dress for a pop of colour! Or rent a cute playsuit for an effortlessly feminine showing. Add a floral fascinator for extra detailing for a race day event. Read our blog for more inspiration on what’s trending this racing season.